In addition to Brad, Industry Leaders will provide updates on current market trends for Corporate Housing, Rentals and Real Estate. Please relax and enjoy our summer meeting by wearing your golf or business casual attire. (Note: denim is not allowed on the course). To ensure your comfort throughout the day, we suggest you dress in or bring layers. 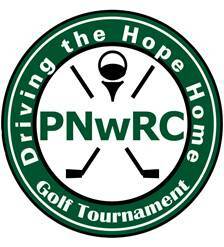 Superheroes will be the theme for the 9th Annual ‘Driving the Hope Home’ Golf Tournament hosted by the Pacific Northwest Relocation Council at the prestigious Washington National Golf Club. This will be a fun filled day allowing superheroes and villains to unite in support of our chosen charities, the Union Gospel Mission’s Hope Place and the American Cancer Society. Secure your sponsorship now as they are filling quickly! This annual tournament brings together a variety of corporate and associate relocation professionals for a day of fun, golf, and is a great opportunity to network and promote your business. The scramble style golf tournament provides an excellent opportunity to “get away” as your clients, prospects, and co-workers enjoy a great round of golf. To inquire about golf registration and fee or sponsor day of needs, please contact Brian Remington with Golf & Corporate Solutions brian@golfcorpsolutions.com. A HUGE Thank You to all of our current sponsors!